The public has chosen a new name for the trust which runs Peterborough City Hospital and Stamford Hospital. No, it’s not Hospital McHospitalface, but that might be because the public were given six choices which they then voted for online. Instead, the winner was North West Anglia NHS Foundation Trust. A new name for the Peterborough and Stamford Hospitals NHS Foundation Trust was needed because the trust has agreed to merge with the Hinchingbrooke Health Care NHS Trust which runs Hinchingbrooke Hospital. 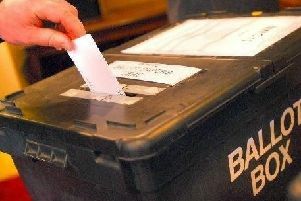 More than 4,500 votes were cast in the poll, and the new name will be used from April when the merger comes into force. However, the names of the three local hospitals will remain unchanged. Stephen Graves, chief executive designate of the new trust, said: “I would like to thank the members of the public and the staff at both our trusts for taking part in this important decision. “In total, 4,570 votes were cast in the poll which closed on December 28.